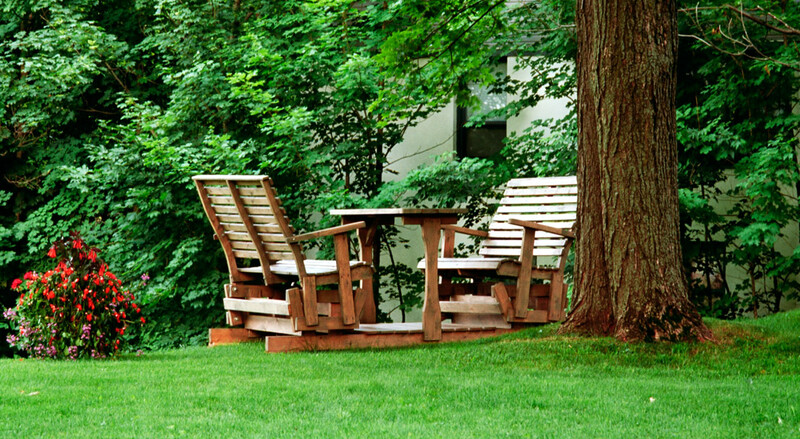 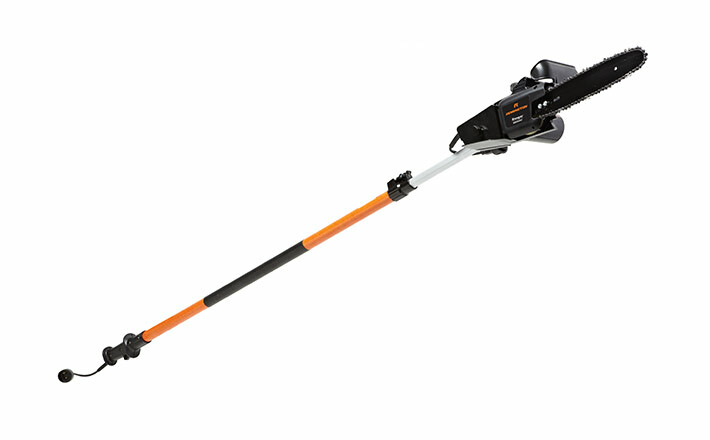 Cut through overhead branches with less kickback, thanks to the special 10-inch bar and chain design. 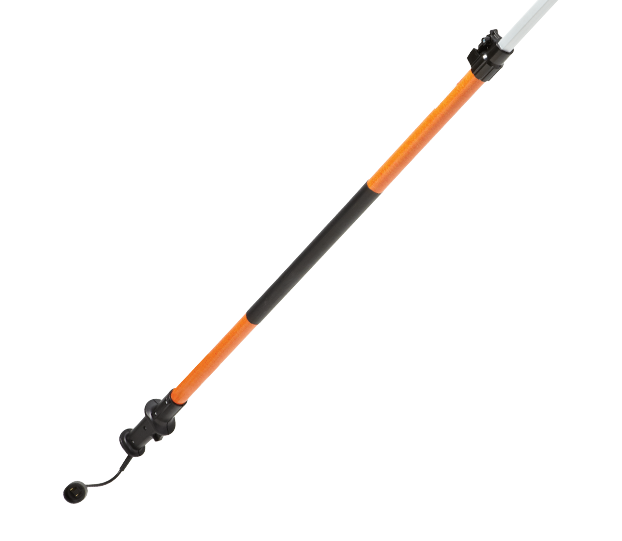 Reach up to 10 extra feet with the durable pole construction and easy-to-use clamps to hold them in place. 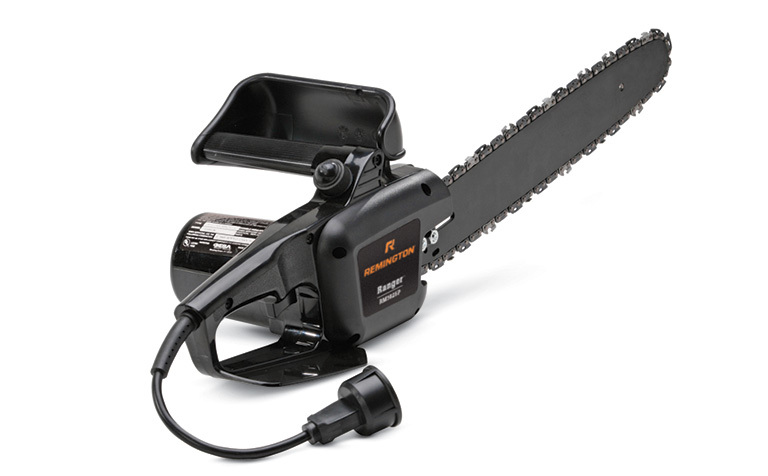 The instant start, electric 8-amp motor powers through branches with the low-kickback 10-inch bar and chain. 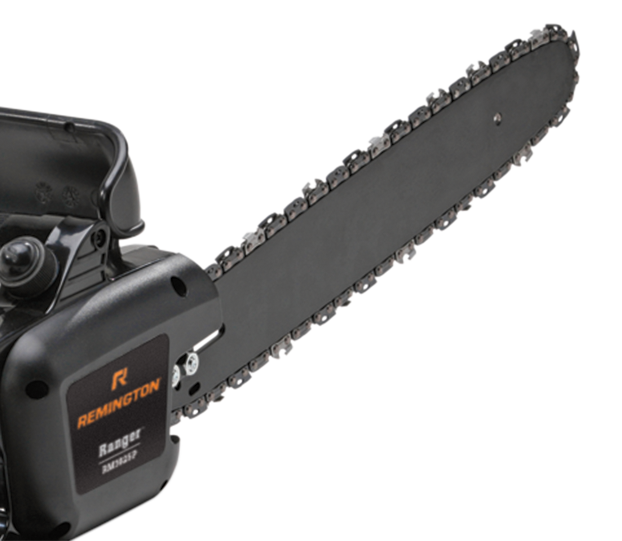 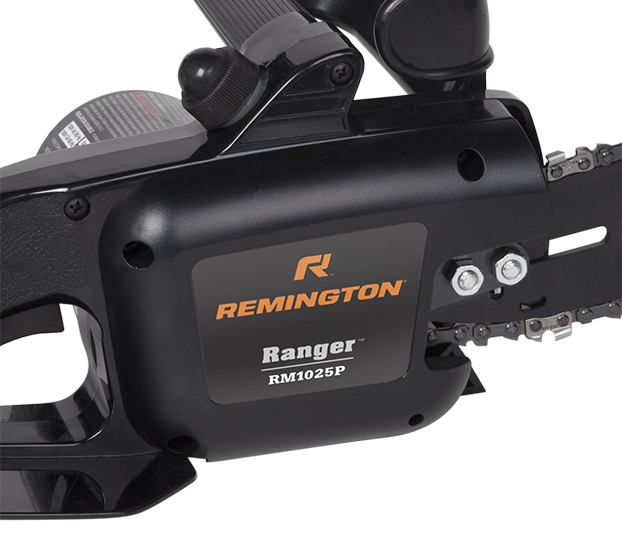 The 2-in-1 Ranger™ pole saw/chainsaw features a lightweight design that’s easy for anyone to use. 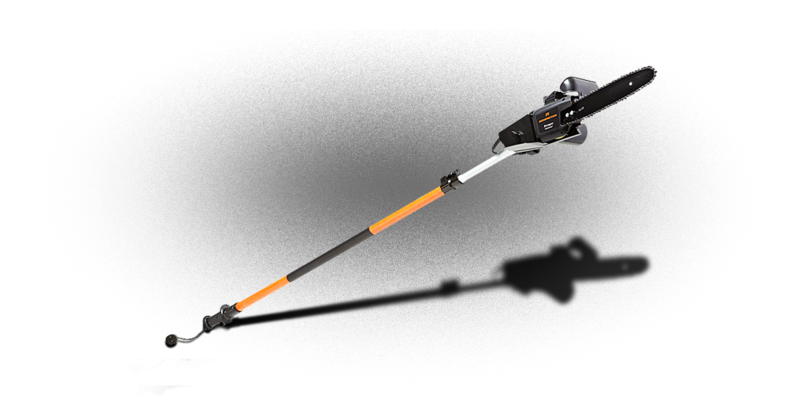 This electric tree trimmer’s powerful 8-amp motor and 10-inch bar and chain are perfect for trimming small to medium-size branches. 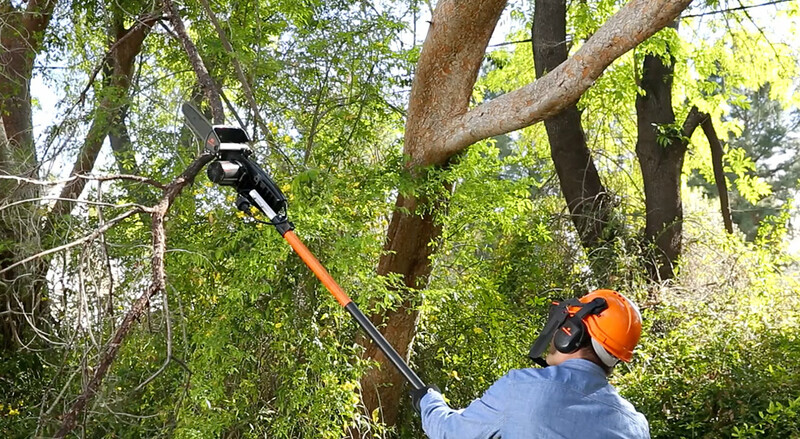 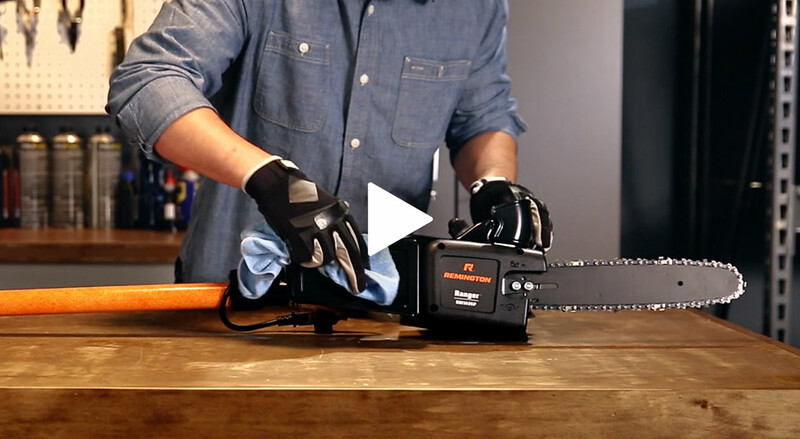 And with a quick option to detach the 10-foot telescoping pole, you can convert from pole saw to chainsaw after you’ve brought down those high branches and limbs.